Jane Kramer is back! Kramer is prepping for the release of her new album, Valley of the Bones. But first, for those not up on the artist in question, some background information. 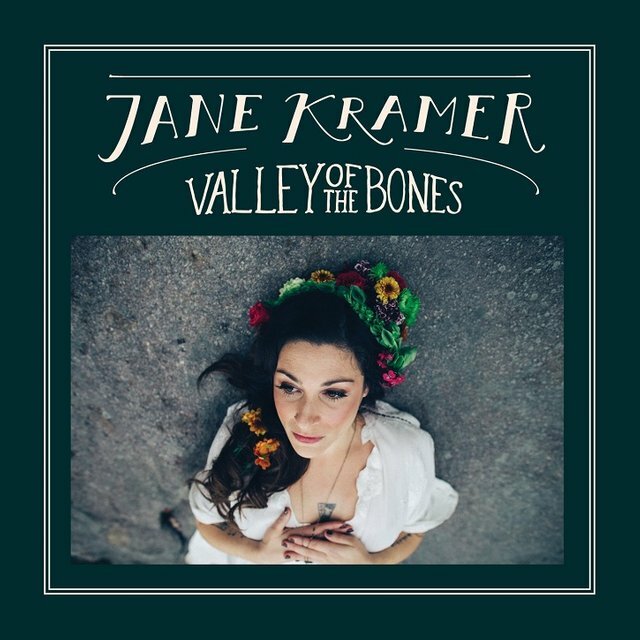 Jane Kramer is an Asheville, North Carolina-based singer/songwriter, and musician. Kramer performs and teaches audiences about songwriting in classrooms, hospitals, prisons, rescue missions, and programs for at-risk youths. Her signature sound is a mix of music genres including Americana, country, folk, and roots. 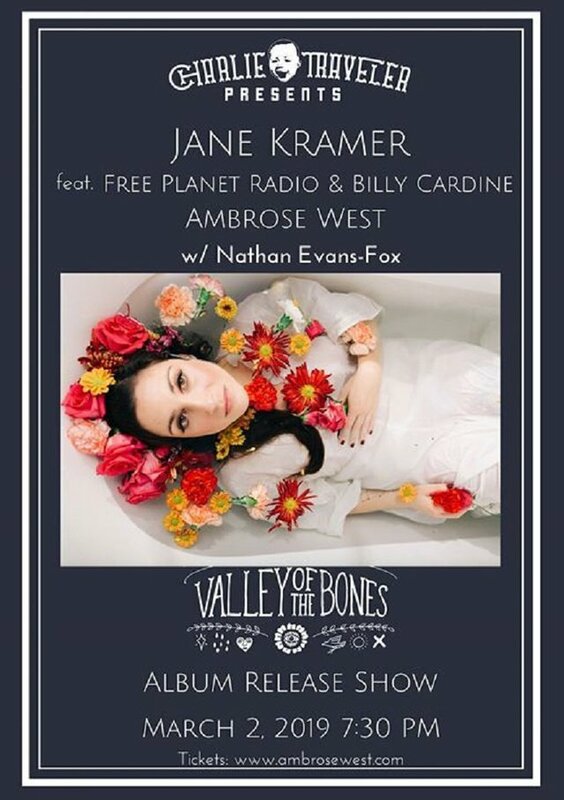 Valley of the Bones is her third full-length platter. According to a message via social media, this album was “tracked mostly live” including her vocals, “in Asheville, N.C.” This collection of songs focus on love and humanity. She appears to be more comfortable and confident in herself and her songs than ever. On this of disc of 10 original songs, Kramer’s sincere vocals are backed by several additional musicians. Most of them appeared with her on her 2016 work Carnival of Hopes. The roster includes Free Planet Radio musicians Chris Rosser (acoustic and electric guitars, keyboards, harmonium, octave mandolin, and harmony vocals), two-time Grammy Award winner Eliot Wadopian (upright bass), River Guerguerian (drums and percussion), and Billy Cardine (dobro). Also appearing here are Allison Hall (harmony vocals), The Steep Canyon Rangers’ Nicky Sanders (violin), and the Asheville Symphony Orchestra’s Franklin Keel (cello). The artists’ professionalism and familiarity with each other seem to come through here from the very start. The album opens on “Hymn.” It’s a quiet, reflective song. It focuses on spiritual self-love and breaks away from some of her previously self-deprecating material. Track two, titled “Waffle House Song,” picks things up a bit. It’s a rather smart and sassy song perhaps all too quickly followed by “Macon County.” “Macon County” exemplifies her signature sound and is perhaps impacted by her love of Appalachia. “Child” is a nice piano-driven piece and yet another example of Kramer’s skills as a composer. “Saint Carrie of the Storms” is an early fave of a few radio personalities. It’s also full of more of Kramer’s type of revelatory backwoods wisdom. “Two Broke Kids” provides further examples of the consistency in the artists’ abilities. It’s somewhat overshadowed by the next number. The seventh selection, “I'll See Your Crazy & Raise You Mine,” is a quirky, comedic country cut common to more relationships than perhaps we would all care to admit. “Singin's Enough” is a noteworthy number about the challenges faced by a touring indie artist. It makes a great road trip track. "Valley of the Bones” definitely earned the honor of title track and its soft, meaningful poetry made it an early fan favorite. The closing cut is “Wedding Vows.” It’s a nice, apt album ender to this 40+minute honest, audio offering. Overall, this disc, dropping on March 1, deals with a number of relationship-related subjects including everything from miscarriage to marriage. Kramer also allows the audience to get a glimpse into her sense of self-acceptance, self-effacing sense of humor, belief system, and vulnerabilities. Her tuneful tales are backed by effective arrangements too.